"Thank you Chris for capturing such a special time , you have an incredible talent!!!" Jayde brought her brother Kyle and her eldest son Dillon with baby Theo in for his Newborn experience when he was 12 days young. 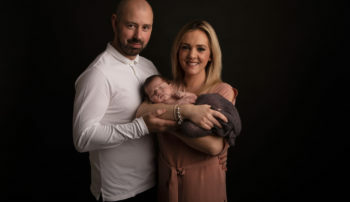 “I have just got back from my viewing experience from my newborn photography shoot and i am on cloud 9, the photos were incredible it actually brought tears to my eyes. The whole experience has been fantastic from start to finish. Chris has so much patience making sure we felt comfortable and that my 3 year old son was happy as well as my newborn. I am over the moon with my images and its something i will treasure for ever. "Honestly couldn't recommend anyone better." Emma and Scott brought baby Hazel in for her Newborn experience when she was 7 days young. 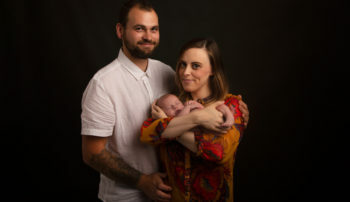 “Honestly couldn’t recommend anyone better, I won a newborn photoshoot which Chris was more than happy to reorganise for us due to some personal issues. Once we were there with our daughter we were made to be at ease. Chris was patient with our little hungry horace, who either wanted to eat or wiggle around. "It was completely stress-free given how good Chris was with our baby." 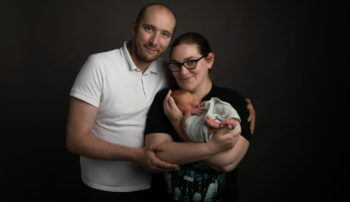 Emma and Gareth brought baby Jack in for his Newborn experience when he was 16 days young. “Can’t recommend Chris at Chocolate Chip Photography highly enough. He was superb at settling our newborn son and is terrific at what he does. As a result we have ended up with some beautiful photographs that we can keep and look back on in years to come. 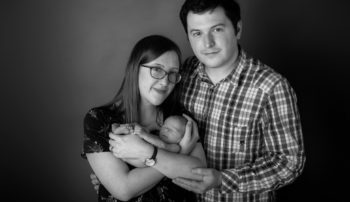 Myself and my husband also had such a lovely experience during the photo shoot; it was completely stress-free given how good Chris was with our baby, and was such a relaxing environment to be in whilst watching the photographs being taken. 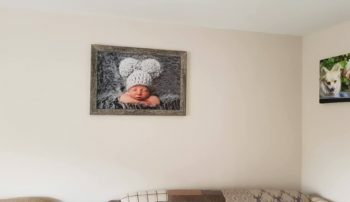 "The quality of his work is unbelievable, so good it had my husband in tears"
Rob and Vickie brought baby Felicia in for her Newborn experience when she was 8 days young. 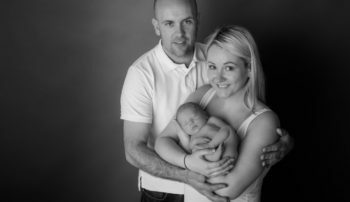 “We are so glad that we did when we went there as Chris was amazing with us and our baby girl made us feel so relaxed and at ease. The quality of his work is unbelievable, so good it had my husband in tears when we saw the images. Chris never puts any pressure on you to buy the images but they are so good i’m sure you will want them all i know we did. "We will definitely be visiting again when we extend our family." Jenna and Amy brought baby Averley in for her Newborn experience when she was 11 days young. 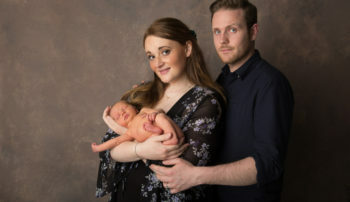 “I was lucky enough to win a baby photoshoot whilst pregnant with my baby girl. Once she finally made her entrance we had Chocolate Chip capture the newborn moments with our daughter at 11 days old. Chris was amazing with her and so patient. The whole experience was so chilled and enjoyable. There was no feeling of being rushed and just went at our pace. The viewing of the photographs were amazing and was really hard to choose the best ones – they were all amazing! We will definitely be visiting again when we extend our family. "Chris captured some amazing images that just left us absolutely overwhelmed when we went back to view them." Karen brought baby Nate in for his Newborn experience when he was 9 days young. "Thank you so much for the day, we’ve had a great experience!" Sophie brought baby Isabelle in for her Newborn experience when she was 6 days young. 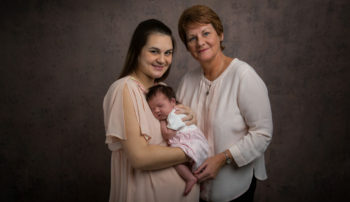 “Me and my 5 day old daughter, Isabelle were in having a new born photo shoot today. From the moment we entered the studio we were both very chilled out and made to feel very welcome. Throughout the whole experience, Chris made sure that Isabelle was happy and comfortable. This made me feel more relaxed knowing she was in safe hands. From the few snippets I got to see on the camera during the shoot, I am so excited to see the final photos! It will be very difficult to chose my favourite! 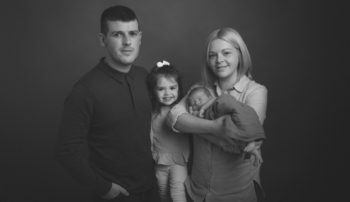 I would highly recommend these guys to any new parent looking for a new born shoot and I will definitely return to them in the future should we have more children! 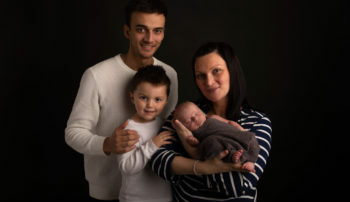 "We couldn’t be happier with the whole experience or the end result and would 100% recommend"
Ash and Anita brought baby Jack in for his Newborn experience when he was 8 days young. "Highly recommended, they took care of everything and we were even able to relax"
Lynne and Mark brought baby Anderson in for his Newborn experience when he was 8 days young. 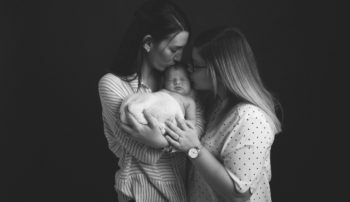 "They really are baby whisperers & the photos that resulted from the day were gorgeous"
Amy and Michael brought baby Nate in for his Newborn experience when he was 17 days young. "Can't thank Chris enough for the memories that will remain on our wall forever." Aimee and Sean brought Jonah in for his Newborn experience when he was 6 days young. 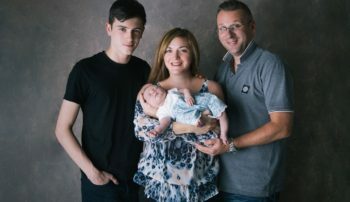 “We brought our newborn Jonah at just 6 days old for a photo session with Chris. He was amazing and really good with Jonah. He was so patient whilst we fed and changed Jonah several times between the session. He settled him so well and captured the most amazing shots. We have just picked our fine art and digital prints up and can’t thank Chris enough for the memories that will remain on our wall forever. (I may have shed a tear or two). Would highly recommend to anybody looking for a newborn session. "Oh my god! The photos are absolutely incredible. Just beautiful, unique and very special." Sian and Gary brought baby Grace in for her Newborn experience when she was 4 days young, along with big brother Ryan. "It was hard to hold back the tears as the images were so beautiful." 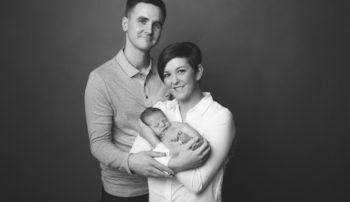 Kelly and Alex brought baby Charlie in for his Newborn experience when he was 8 days young. “We’ve just had our newborn viewing experience this week and wow! From start to finish Chris was fantastic, a true professional with a laid back vibe, everything was explained in detail and we had no qualms whatsoever about leaving Chris to get on with the shoot with our son, he handled him beautifully, and Charlie remained content and happy throughout. It was such an amazing experience to watch, and Chocolate Chip had a good variety of props to choose from to really make the shoot unique and personal.